Bailey Rydell moves across the country to live with her dad for the summer. 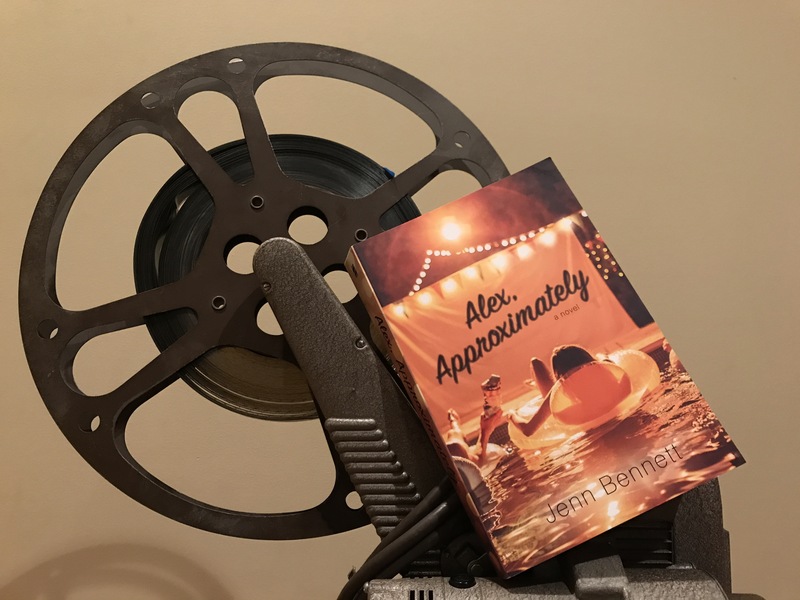 Not only does she want to escape her mother’s crumbling marriage, but she also wants to meet fellow film buff Alex–who lives in the same town as her dad. Only she doesn’t tell Alex that she’s moved to his hometown. Enter Porter Roth. Her annoying, infuriating, but attractive coworker who quickly becomes Bailey’s archenemy. And then something more. Bailey finds herself caught between Alex and Porter. What she doesn’t know, is that Porter is hiding a secret of his own….’Alex’ and Porter might not be as different (or two different people!) as she thinks. This book has been on my to buy list for awhile, so when I bought it a few weeks ago I was pumped! Bailey and Porter have such great chemistry and hilarious witty banter that will keep readers engaged throughout the novel. The dramatic irony of readers knowing that ‘Alex’ was really Porter was frustrating, because I wanted Bailey to figure it out already! But it worked. Definitely worked. I liked that each chapter started off with a short movie quote on the top of the page. While I hadn’t seen all the movies, the quotes were a nice tie in to each chapter and kept the theme of the characters shared love of film present even in chapters when it wasn’t discussed. As a character, I liked Bailey. She was a great narrator, smart and witty and I never found her especially whiny or annoying which was great. Her tragic backstory was fine, although I think it wasn’t absolutely necessary; however I understand why Jenn created that as a part of her character, so I’m cool with that. I also enjoyed the concept of Bailey being an ‘evader’, and how her character grows and matures throughout the course of the novel. Porter was an engaging and interesting character as well. His past with Davy and traumatic surfing events fit in nicely with the overall arc of the story, and I liked that he wasn’t a ‘perfect’ love interest. At the start, and basically throughout the book, Porter and Bailey argue constantly, which was a nice change from most YA relationships starting out almost seamlessly. I do wish that Bailey would have figured out that Porter was really ‘Alex’ sooner, but then the book would’ve ended a lot quicker, and I didn’t want that! I wanted to keep reading. Although I’m sure it’s more realistic that it would take her awhile because she’s certainly not even entertaining the idea that Porter could be ‘Alex’. The supporting characters were awesome as well. For example, I loved Grace, Bailey’s new friend and coworker. She was super sweet but also really dedicated and loyal. Pangborn, Porter’s fellow security guard at the museum was also super sweet and helpful and just a good character. I also liked how Bailey’s relationship with her father evolved, and the good dynamic Porter has with his own family. Overall, I really enjoyed the novel; it was definitely worthy of being on my immediate TBR! It’s a perfect summer read, with an amazing premise and great delivery. I want to go into film after college (more specifically, book publishing and film production!) so of course I had to read this book! I also loved the cover. The title is a bit blurry because ‘Bailey’ is the main focus, so it kinda makes me feel like I’m going blind, but other than that I love the design concept and it’s SO aesthetically pleasing. Connect with the author! You can follow Jenn Bennett on twitter at @Jenn_Benn and on Instagram at @j3nn_benn! I got the exclusive paperback at Target, but in-store, and I can’t seem to find it in paperback on their website, so check your local Target! Psst! Here’s some emojis that go PERFECTLY with the book!